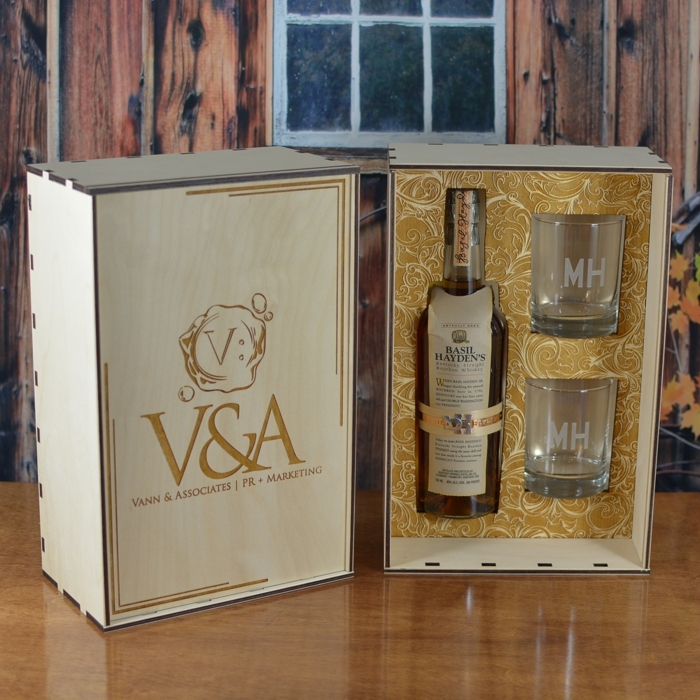 Our boxes fit the following 750ml bottles provided by you in their own pocket with more to come. 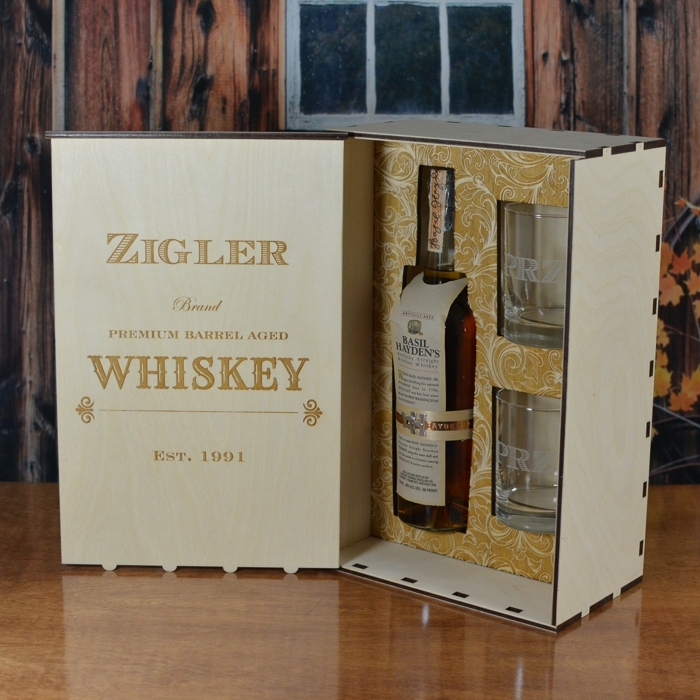 This box set is designed to cradle the bottle and has a filigree design to stage your bottle. Personalization is included in the price and you have total control over the personalization. Send us your artwork or design idea or use our many choices of graphic designs and add your personal message. Either way we will send you a complete mock-up for you to approve before we start on it. Please contact us if you would like some design ideas sent to you. 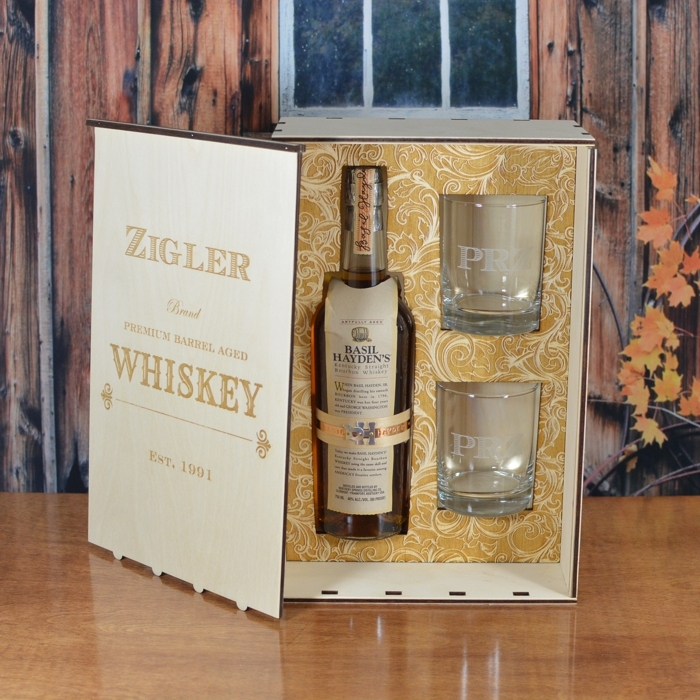 Box includes text and/or graphic engraving on up to 2 surfaces and personalized etching on 2 tumblers (Also called Rocks, Double Old Fashion, or Whiskey Glasses). 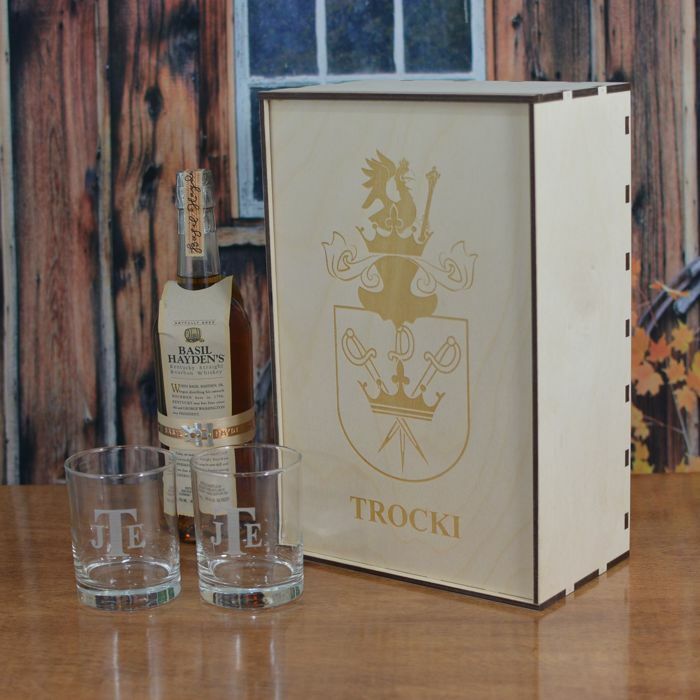 The most requested places to engrave the box are the front cover and an inscription on the inside of the box. Names or initials are the most popular on the glassware. Hand made of Baltic Birch, this wood has a light soft look that accents the darker golden brown appearance from the engraving. Each piece is laser cut and then hand sanded to give it a soft smooth feel. This wood actually gets richer looking with age. 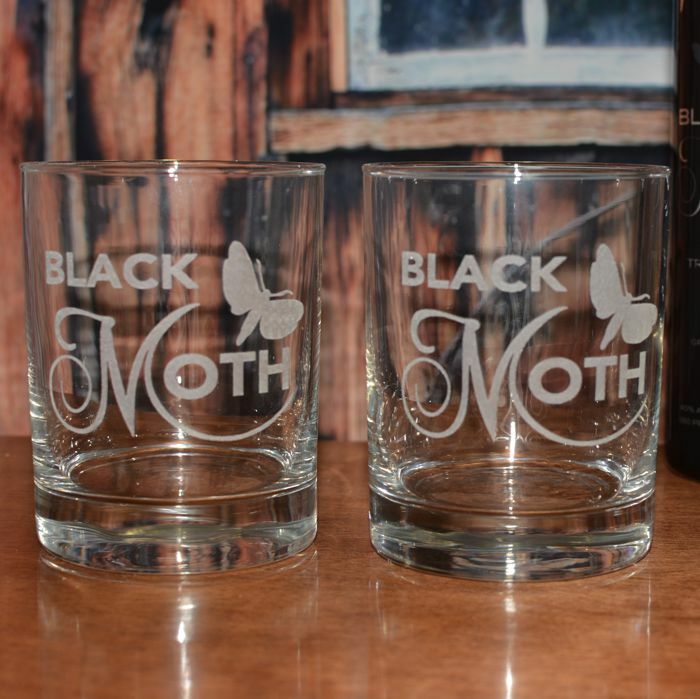 Glassware swill have a soft frosted look when etched. Ready to ship in 3 to 5 business days once you've approved design and engraving. Please note we take careful consideration when shipping your item to make sure it arrives to you unbroken. We will replace anything that arrives broken at no charge to you.